When Yvonne Fuller moved to Cornwall in 1994, she fulfilled a life long ambition. She had stayed many times as a schoolgirl in the fishing village of Polperro, where her cousins ran a hotel. A much loved aunt had married into a local fishing family and the village was full of artists. Painting had always been her favourite subject and meeting the artists, in particular Jack Merriott, and seeing their work made her determined to study at art school. 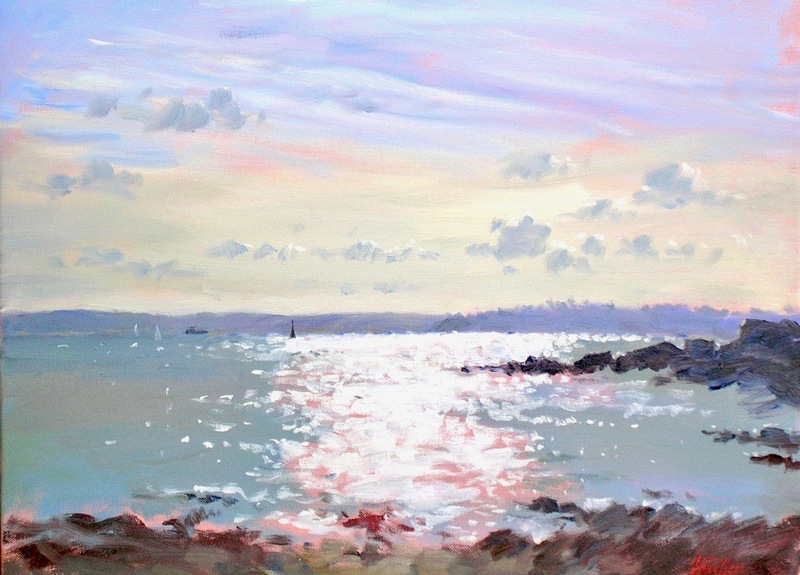 Living now in the seaside village of St Mawes, she paints the beach scenes, landscapes and people of the unspoilt Roseland Peninsula. Yvonne Fuller studied painting at Bromley College of Art and Goldsmiths’ College. University of London, when life drawing and perspective were still taught with some rigour. Her tutors included Frank Auerbach and Bernard Dunstan. In a varied career, she painted for several years as a resident artist in Dulwich Picture Gallery, where some of her water colours of gallery life were purchased for the Permanent Collection. This led to a term as Official Artist to the British Medical Association, documenting events for the British Medical Journal, and more recently as Artist to Cornwall County Council, recording the historic outbuildings at Mount Edgcumbe prior to their refurbishment as a visitor attraction. She has also documented Trewithen, the country house and estate near Truro. She has exhibited, amongst others, in the Phoenix Galleries in Lavenham and Highgate, at Sotheby’s, in Dulwich College and in Tregony Gallery. When Hotel Tresanton St Mawes changed hands she documented the refurbishment of the hotel, designed the logo and in early 2017 painted a visualisation of the new Beach Garden. She has prepared designs and painted scenery for for several stage productions including Mozart’s “Cosi fan tutte” for the Royal College of Music Opera School, Handel’s “Amadigi” and “Il Pastor Fido” for the Unicorn Opera, Abingdon, and for a number of plays. She recently did all the drawings for the St Mawes limited edition of Monopoly. For The Queen’s Golden and Diamond Jubilee celebrations she designed and produced “The Children’s Coronation”, full scale re-enactments of Her Majesty’s 1953 Coronation, with children from St Mawes School. On 2nd June 2013, for the 60th anniversary of the Coronation, she directed an even larger re-enactment in Truro Cathedral with children from many schools in Cornwall taking part. In the last few years, after experiencing weakening eyesight, she had successful Tetraflex lens replacements, which enabled her again to paint without glasses. She now sells some of her larger paintings to support eye charities doing similar operations in third world countries. The paintings in this website are examples of work, many of which have already been sold. Prices range from £150 for a small, unframed water colour to about £5,000 for a 60 x 90cm framed oil painting. 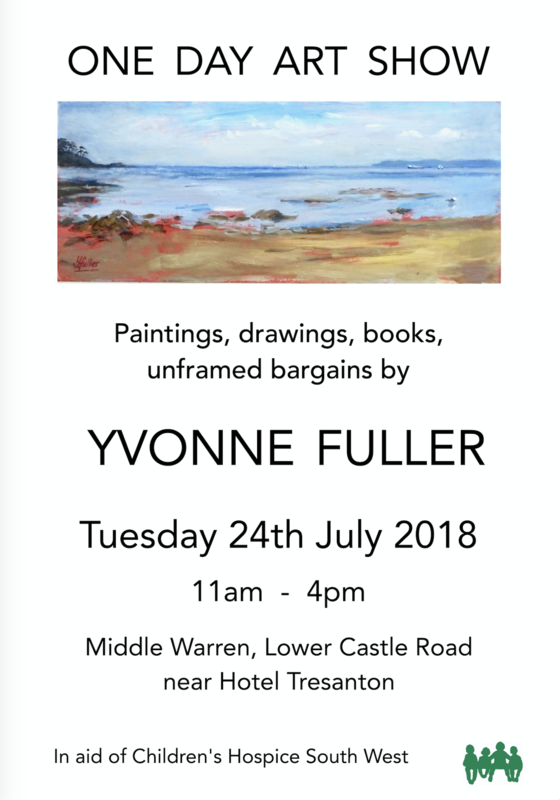 For further information of currently available paintings and details about purchasing copies of the book “St Mawes and the Roseland” please look under the heading Paintings for Sale.